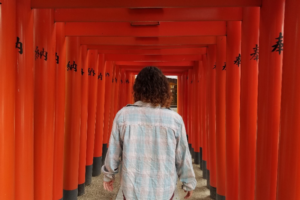 Kyoto is a fascinating city to visit if you appreciate culture and history – your only worry is going to be managing your time to ensure you see everything you want to. I’ve been fortunate enough to have visited the area several times now, and I’m always discovering new things with each trip, including some great opportunities for hands-on craft activities. If you’d also like to embrace your artistic side in Kyoto, a fantastic place to check out is the Kyoto Handicraft Center (京都ハンディクラフトセンター). 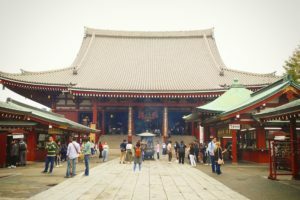 The center here offers up a total of nine different traditional handicraft experiences, including creating your own woodblock art print, painting a sensu (扇子, folding fan), or even formulating a unique incense blend. 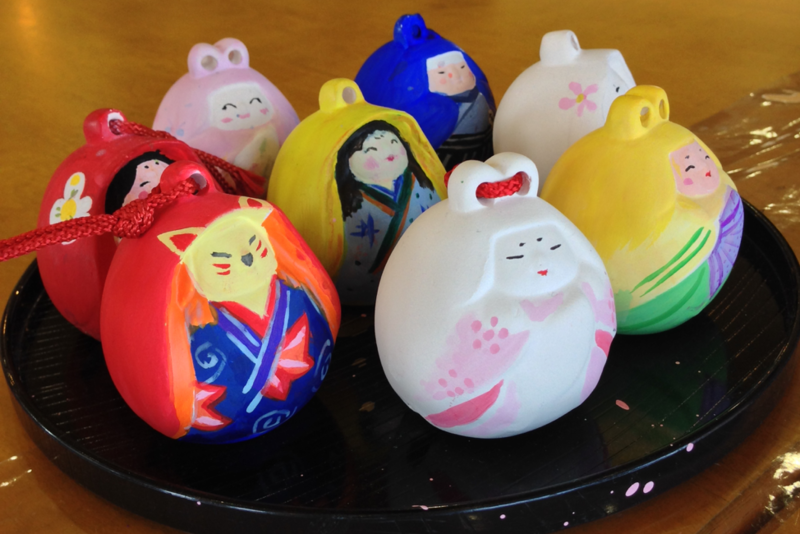 When my husband and I visited the center, we decided to choose the experience of painting our own clay bells. 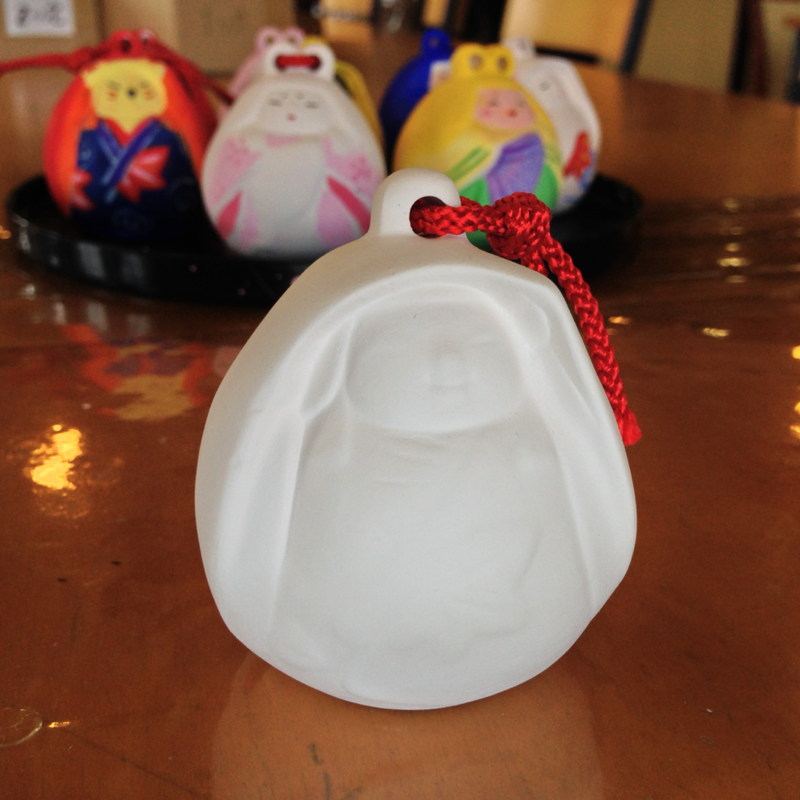 You may see clay bells at souvenir stores throughout your travels in Japan, and many of them originate from Kyoto – so it’s even more special to be able to create one of your own here. If you also choose to create a clay bell, you’ll see in the workshop room that there are displays on the tables where you can draw a bit of inspiration. There were pieces in every color of the rainbow! Or, you can go all out (like my husband chose to!) and put a more modern spin on the clay bell! 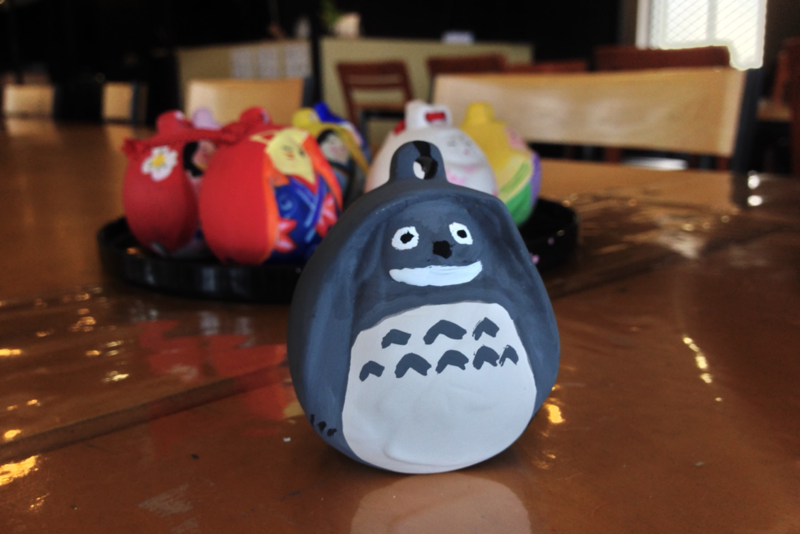 He’s a fan of Ghibli movies so he went down the Totoro route, but you’re entirely free to create yours in whatever way you please. 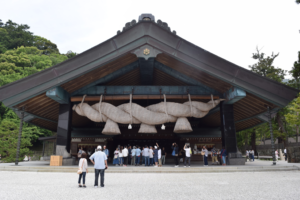 Once you’re finished and your bell has dried, the staff will securely bubble wrap and box your clay bell to ensure it stays safe during the rest of your Kyoto adventuring. 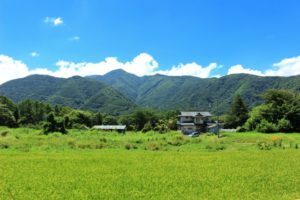 Even if you’re not participating in a hands-on craft experience here, there are plenty of offerings at their gift store that would make for fantastic souvenirs, including pottery, lacquerware, kokeshi (こけし) dolls, cosmetics and more. 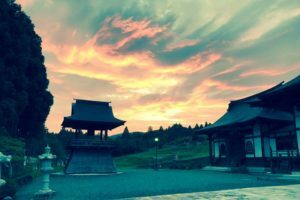 There are also multiple restaurants on site that serve up a host of Kyoto-inspired cuisine, including one that specializes in Kyoto homestyle cooking. 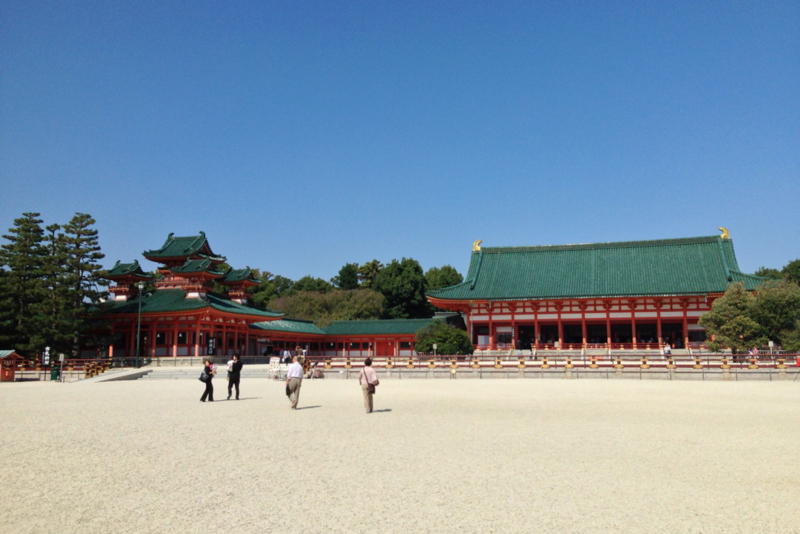 If you’re looking for something to do in the area after your time at the handicraft center, the beautiful Heian Jingu (平安神宮) Shrine is just across the street – it’s listed as an important cultural property of Japan, making it well worth a visit! The grounds of the shrine also have some beautiful gardens, so be sure to spend some time admiring those. All of the staff we encountered here spoke both Japanese and English, so don’t hesitate to visit even if you’re worried you don’t speak Japanese. They’re open 7 days a week from 10 a.m. until 7 p.m.
Prices range from 1,950 yen (excl. tax) to 4,100 yen (excl. tax) depending on the type of handicraft. The range of craft experiences do require prior reservations, but their website has a booking form in English. The closest station to the Kyoto Handicraft Center is Jingu Marutamachi Station on the Keihan Main Line. From the station, the premises is a 10 minute walk away. From Kyoto Station, take bus number 206 headed towards Higashiyama-Dori Kita-oji Terminal for 30 minutes. 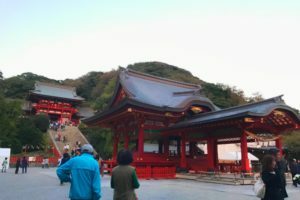 Get off at the Kumano-Jinja-Mae Stop, and from there, the center is located three minutes away on foot. 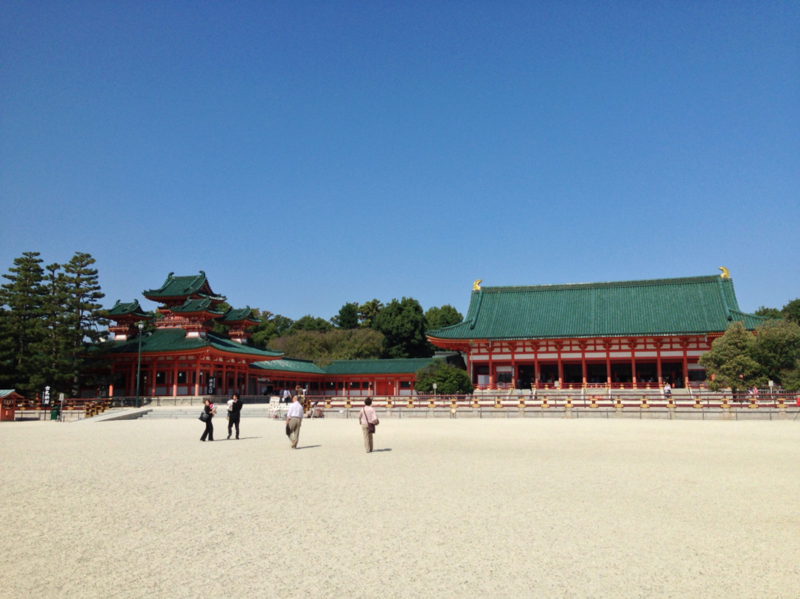 The Heian Jingu Shrine can be found just across the street.